I was myself surprised to read this news. It took me a while to accept this new phenomenon by our own Indian railways. 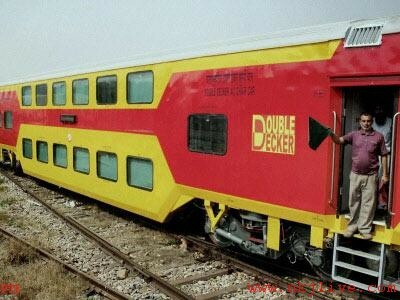 Indian Railways has rolled out the first AC double-decker train. 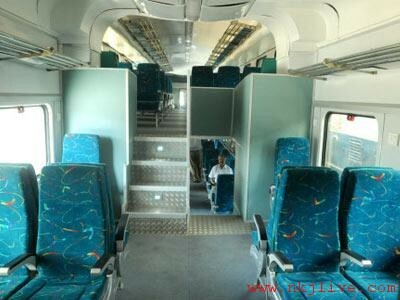 These coaches clearly puts Indian Railways high in design and manufacturing capabilities. 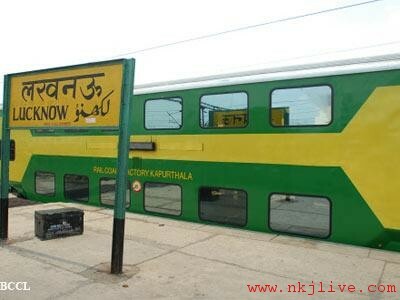 This train rolled out by Rail Coach Factory (RCF), Kapurthala comprises of 10 coaches (8 double deckers and 2 power cars). These stainless steel coaches have been introduced to cater to the heavy rush of commuters in high density corridors offering AC travel at a lower cost. The passenger carrying capacity has increased to 128 passenger in comparison to 78 passengers in Shatabdi chair car, thus increasing the capacity by almost 70%. 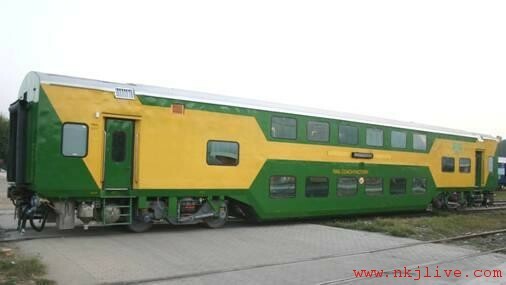 The overall height of double decker coach has been increased marginally by 116 mm (four and a half inches) keeping in view the constraints like overhead structures, bridges, electric traction equipment, platforms etc. Space for the two decks has been generated by optimally using the well space between the two bogies. The End-On-Generation configuration has been used for train lighting and air-conditioning, in which power is supplied by two power cars, attached at both ends of the train. Indian Railway is amongst the best. They have taken the space at bottom and top of the train smartly. 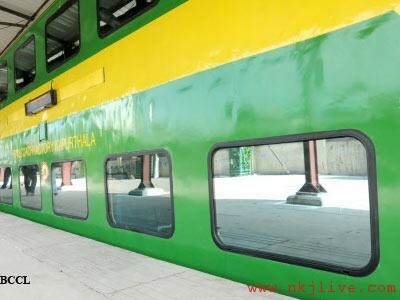 Nice Change but they should rollout them fast, Indian Railway need some fast trains too. IT LOOKS SUPERB!!!!! !I THINK IT HAD SOME PROBLEMS INITIALLY AS THE EDGES OF THE COACHES RUBBED WITH THE PLATFORMS OF A FEW STATIONS…BESIDES SOME PEOPLE REPORTED FLAWS IN THE DESIGN.. BUT OVERALL I THINK INDIAN ENGINEERS HAVE DONE AN EXCELLENT WORK AND OTHER COUNTRIES SHOULD LEARN FROM IT AND ADAPT!! !